Over the years British motorists have lost loads of car brands. Some of the domestic ones like Morris and Sunbeam have been gone a while but others have only just slipped away or are in danger of disappearing in the near future. We’ve taken a look at some discontinued car brands in the UK that could make a comeback. The British sports car maker hasn’t produced a new model since 2006 but they aren’t listed as a defunct company. Rumours circulate in the media that the iconic British sports car firm who brought us the Chimaera, Griffith, Cerbera, Tuscan, Tamora, T350, Typhon and Sagaris are planning to re-emerge as a force in the industry with a range of new models. 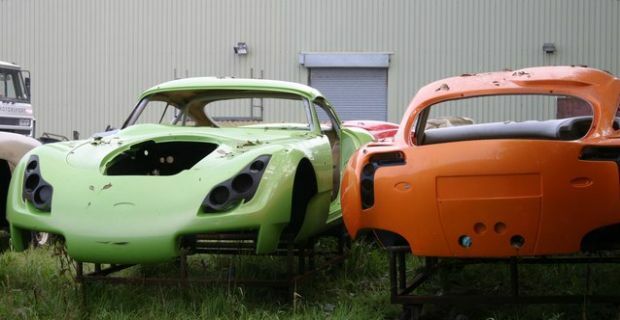 Exact details are unknown but if you check out tvr.co.uk, you’ll find word that “TVR is roaring back.” The firm promise that a V8, two-seater coupe is in the works so perhaps this is a discontinued brand that will get a second chance. The firm known for the AC Cobra are another that are essential discontinued although the marque’s enduring popularity means that there are always rumours of a return. At the 2012 Geneva Motor Show they revealed three new models but have gone quiet since then. The AC 378 GT Zagato, which was one of the cars shown in Geneva, is a stunning model but when you read between the lines, it appears that the only involvement AC Cars had with it was to lease use of their name to Milan-based firm Zagato. Although the Datsun brand has been gone from British roads since 1986, it’s made a return in some emerging markets. The risky job of re-launching a brand in places like Indonesia, India and Russia hasn’t put parent firm Nissan off the idea of bringing the car maker back to Europe. The Datsun sold cars in the UK they were keenly priced and packed with extras. Perhaps the current car market in the UK could do with something like that from a recognised name.